This week’s show opens with Kiiyan thanking everyone who came to the Mr. Tambourine Man events this past weekend. 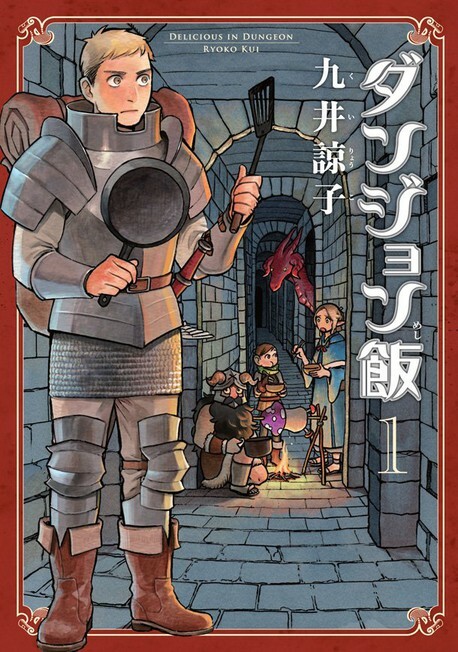 And then he launches into an introduction of the manga shown to the right, Kui Ryouko’s ダンジョン飯 (Dungeon Meal), which you can read about here. He talks a bit about “gourmet mang a” as a genre, and mentions (I believe) the 孤独のグルメ (Kodoku no gourmet / Lonely Gourmet) drama, which he just recently finished watching the last season of. Lastly, he wraps up with a letter from a 16 year old fan from Yamaguchi prefecture. GuraP video & goods at Animate! ≈ Comments Off on GuraP video & goods at Animate! In conjunction with the 6/3/15 release of 「メモリーズ」, Animate will be showing a GuraP & Rodeo video in-store, plus there will be GuraP goods for sale! Possibly the goods left over from the tour? 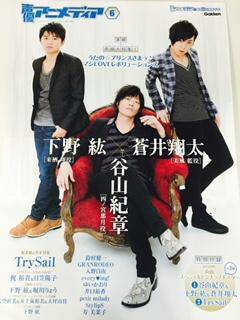 The June issue, due out on May 9th, will have articles featuring both Kiiyan and Granrodeo.